I have long thought that I would tell you all about it. Friend I do not have the time, what can I tell? I am very busy guys. Because of this, I do not have much time for all of you. Still, I will share my secret formula with you today. 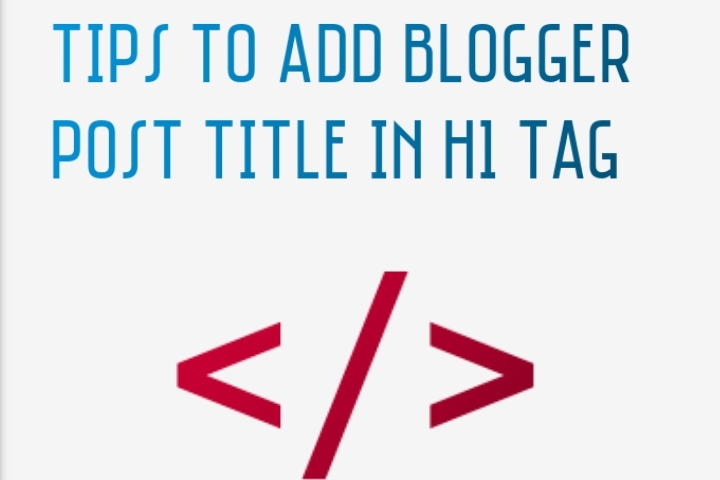 Now we are discussing tips to add blogger post title to h1 tag seo . In this tutorial we are provide you tips. > When I made my career in blogging, I did not know much about it. I mean there is a title in any website's post.. And the same title should be in the H1 tag. If not, then your site will never rank in any search engine. But I do not know about this because I have suffered a lot. But when I came to know it was too late.I have 3 websites. And I myself have to walk alone to him. My first blog is that it was a complete loss due to this. See, any post has a title tag. And he should be in the tags But this is only possible if it is already set in your template. Otherwise you can not do this at all. I'll tell you the full process of it. When you use any free theme then it is not good for the SEO.It has to be customized for that which you do not know. As I said it has to be set inside your theme. If you do not, then it will never happen. Otherwise the headline of your article will be in h3. ✓ click the theme option. ✓ click Edit HTML . ✓ now press CTRL+ F .
After finding this code, replace it with any of the h3 tags that you have to tag it and replace it a h1 tag and save the final theme. After analyzing your blogspot. you will get changes in the search engine results page. This is more important for search engines, so you can use them multiple times on pages such as home pages or static pages. But, by never publishing in a body of text or in non-static pages, search engines will have a negative impact. Now is the time to adjust your site..
You can use this h1 tag checker for more information about it. So in this way you can do this with great comfort. You can check your seo checker in google. I hope you all understand this as my tutorial. And I always try to get you the right information. So that no problem came to anyone. And my job is this. I will always keep doing it. Help everyone. If you still do not understand anything then please tell me by commenting OK. I am always with you And will reply immediately. And one thing if you want some new topic tips then it is okay to tell me. I have the answer to every question.